An Austin Police officer is on paid administrative leave after using force against a suspect. There were no injuries and the suspect is in custody. Austin police are investigating an officer-involved shooting that occurred at 1:42 p.m. Saturday near Interstate 35 and Rundberg Lane. According to Police Chief Art Acevedo, there were no injuries and the suspect is in custody. The shooting occurred when a police officer responded to a car accident at a Shell gas station. The suspect, whose name has not yet been released, had struck another vehicle and was allegedly leaving the scene. When the officer tried to flag the suspect down, he did not stop and drove the vehicle toward the officer. The officer, whose name has also not yet been released, got out of the way. When the suspect stopped again, the officer told him to get out of the car, but he again drove the car toward the officer. That's when the officer fired several rounds at the car. The car drove off toward North Lamar Boulevard, eventually crashing into an H-E-B store sign, where he was taken into custody. The suspect was cleared by Emergency Medical Services and taken for booking. Chief Acevedo says he is a 23-year-old Hispanic male. The suspect is being investigated for four counts of leaving the scene, charged with aggravated assault against a police officer, and is being investigated for driving under the influence of alcohol. Acevedo says that's because the suspect made a statement about being drunk and driving. The officer who discharged his weapon was placed on administrative leave with pay for the duration of the investigation. Acevedo says the officer was acting in self-defense when he discharged his weapon. "A vehicle can be used as a weapon," Acevedo said. "And when a vehicle is used as deadly weapon, our policy and state law allows you to defend yourself. So the officer shot at vehicle in self defense, fearing for his life." The family of a man shot to death last week by an Austin Police detective has hired a high-profile attorney. The family of 32-year-old Larry Eugene Jackson, Jr. has hired Adam Loewy, who has represented three families of men killed by APD officers’ gunfire. “I’ve handled several of these police shootings and I’m very selective in the cases that I take, and this one strikes me as being very suspicious," Loewy said. Update: Over the weekend, Austin Police identified the man killed as 32-year-old Larry Eugene Jackson Jr. The Austin Police officer who shot him was Detective Charles Kleinert. Kleinert has been an officer for almost 20 years. APD is looking for a witness who might have seen what happened between Jackson and Kleinert. Original Story (July 26, 7:58 p.m.): A man is dead after he was shot by an Austin police detective Friday afternoon near the intersection of 34th Street and Shoal Creek Boulevard. Police describe the man only as African American. Police had not yet established his identity. No officer was injured in the incident. 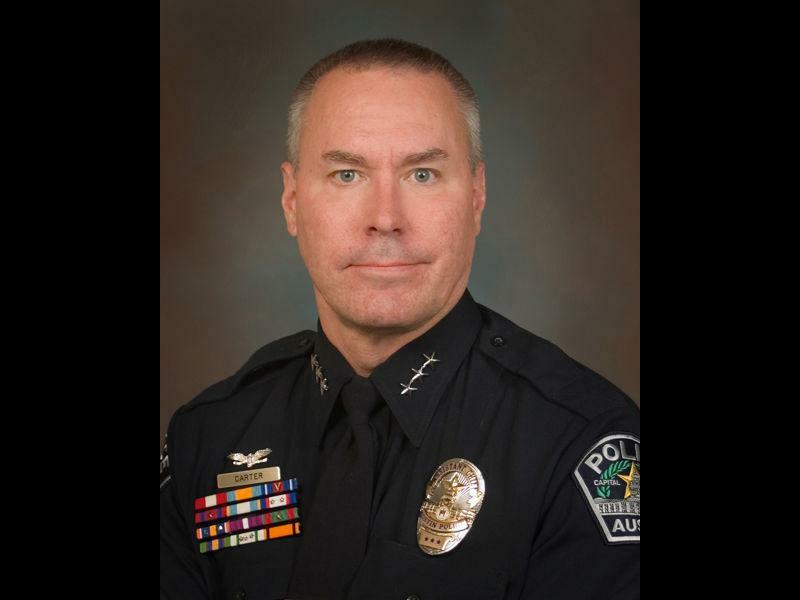 The University of Texas has a new police chief. It’s David Carter, who is currently Chief of Staff at the Austin Police Department. UT criminal justice professor Mike Lauderdale led the search committee for the new chief, and recommended the appointment to UT Austin President Bill Powers, who made the final decision. Lauderdale says one of Carter’s major challenges will be dealing with high turnover at the department.